No matter where you go in the world, rich people aren't far away. Every continent is home to a billionaire — or at least a millionaire who has profited from the continent's bounty. From the mineral-rich nations of Africa to the booming economies of Asia and back to the tech powerhouses in North America, here is a look at wealth by continent and an introduction to the world's richest people. Africa's richest person is Aliko Dangote, a self-made man who originally earned his fortune in the cement business and has now expanded his empire to include food staples, according to Forbes. Dangote Cement is the largest cement producer in Africa — and its namesake owns 90 percent of the company. The sugar, flour and salt companies Dangote controls are all publicly owned, and he plans to increase cement output by 33 percent by 2020. No human beings are indigenous to Antarctica, according to the Australian Antarctic Division. That means no one can truly call the continent home — and just a smattering of scientists hole up on the remote and frozen landscape all year round. But some people have made a lot of money there. One of them is Arnold W. Donald, the CEO, president and director of Carnival Cruises, who in 2016 got a pay raise that increased his salary from $9.4 million to $9.9 million. Carnival charters numerous Silversea Cruises to Antarctica, so a good chunk of that money comes from the frozen continent. Wang Jianlin owns the world's largest network of movie theaters, according to Fortune, which has helped him become the richest man in his native China — and Asia. He is, however, far more than just a regional player. Hollywood is the world's movie mecca, and Jianlin acquired Legendary Entertainment in 2016. He serves as the most prominent symbol of China's emergence as an economic powerhouse. Australia's richest person is a woman. 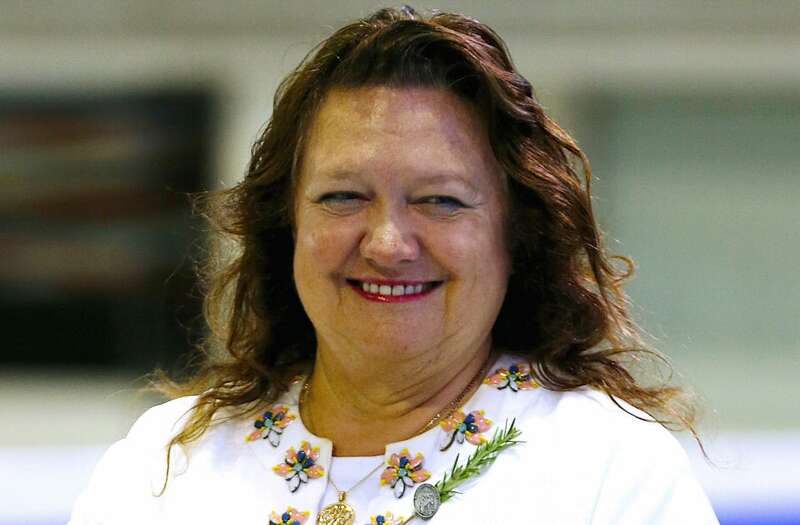 Not just any woman, but Gina Rinehart, the seventh-richest woman in the world, according to Forbes. Rinehart is unique, however, among the world's wealthiest women. Unlike the six women in front of her on the list, Rinehart built her own fortune instead of inheriting it. She parlayed her father's bankrupt estate into a mining empire that includes Western Australia's enormous Roy Hill iron ore mine. The richest person in Europe — Business Insider refers to him as a "mysterious billionaire" — is Amancio Ortega, who beat out Amazon's Jeff Bezos to claim the title as the second-richest person in the world. Private and reclusive, Ortega is the founder of fashion juggernaut Zara, which today is just part of his fashion empire, Inditex SA. Inditex SA maintains 7,385 outlets across the world — and Ortega earns $400 million a year from dividends alone, according to Forbes. Bill Gates is not just the richest American or even the richest person in North America. He is the richest man in the world, according to Forbes — a distinction he has held for 18 of the last 23 years. A Harvard dropout and self-made man, Gates built his fortune and changed the world as a pioneer of the computer age and the co-founder of Microsoft. He and his wife run the Bill and Melinda Gates Foundation, which is the world's largest philanthropic organization. The majority of Jorge Paulo Lemann's wealth can be traced to his 10 percent stake in Anheuser-Busch InBev — which holds the title of world's largest beer maker — according to Bloomberg. The Harvard graduate began developing his fortune in finance when he launched a brokerage firm that would eventually become a full-fledged investment bank — but not before he had a career as a professional tennis player. Lemann played in two prestigious Davis Cups and was a five-time, Brazilian national champion.